Many people were waiting for me to make this blog post so I figured why not now? Why not have this be the very first thing that I talk about because this is what people want to hear. My story should be able to give you the motivation that you need to lose some weight for good. I would recommend getting very relaxed, maybe getting yourself some popcorn because this story is going to be good. My weight loss story is both sad and inspirational. 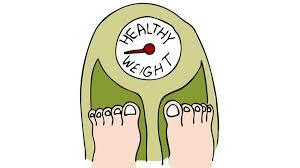 If you have been struggling with your weight then a lot of this will hit your right at home. You will know what I am talking about and some of the things I had to deal with. When I was about 17 I was just about to finish high school, it was one of the best years of my life and I had many friends. Everything was going awesome and I thought that I was ready to begin my awesome new life. Turns out that I was actually very wrong about this. High school was cool because I had so many friends. Everything changed when I left high school. I lost all of my friends At least most of them were gone, this made me become slightly depressed so I began eating to fill the void in my life. This was a massive mistake on my part and I wish I could take it all back because I ruined about five years of my life. So here I am five years later and a hundred and forty pounds heavier then I was during high school. Stressed out about life and all I had was my food. It was about that time when I had finally decided that I was going to do something about my weight. I made the decision that I was finally going to better my life and stop eating junk food and start eating healthy. I also wanted to start working out more. It actually took me a long time to build up the courage to be able to do both of those things. For anybody dealing with weight, they know how hard it can actually be to commit to something like this. At first it seems like its going to be so easy but then you get through one day and you see just how difficult it is. After about four weeks of trying and giving up I finally just forced myself to do it. I knew that I had to do something and giving up all the time was just making it worse for myself. This is when I started to see some awesome progress in my weight loss. Three weeks of intense working out and a strict diet plan and I lost twenty pounds. THREE WEEKS. This proved to me that I could lose all of this weight in no time. So eventually after one year and three weeks exactly I lost one hundred pounds all on my own. I have never felt better about myself and I am so glad that I decided to take action!